I've not shown much of this along the way as it's been a design that was stitched 'as I was able' over the last seven or eight months. 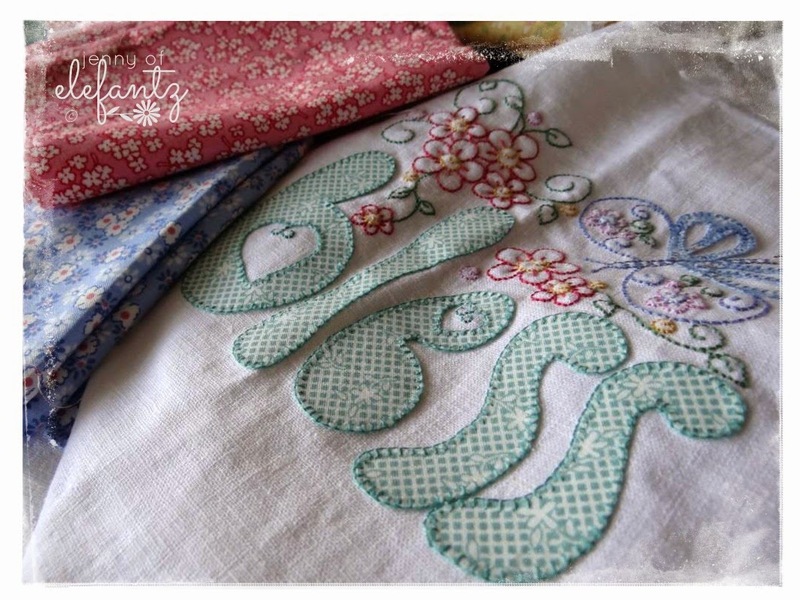 There are six embroidery/applique blocks inside my "At The Heart Of It All" quilt, plus a sweet patchwork heart for the centre. The rest of the quilt is simply pieced with pretty two inch squares using 1930's reproduction fabrics. Tonight, I may have a quilt top. 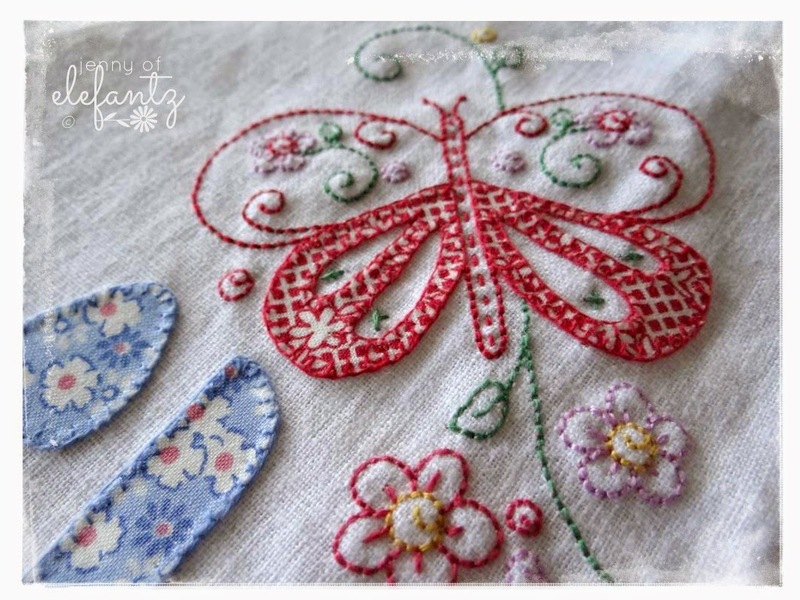 If you'd like to make this new BOM, the patterns will be inside the monthly Stitchery Club sets over the next 6 months. 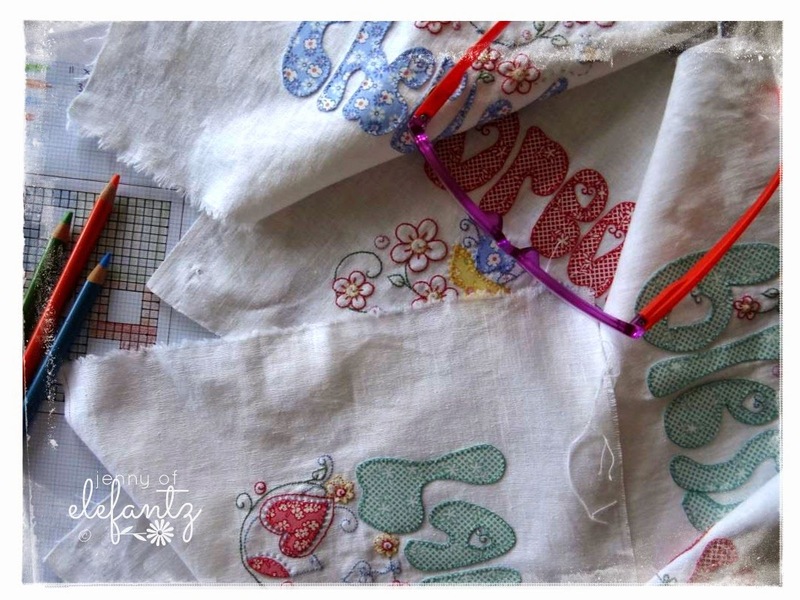 Go HERE to join in, and then gather your pretty fabric scraps because this project is perfect for using what you already have in your stash. I'll need energy and calm today with such a lot of fabric cutting to do so I've brewed a wonderful tea! Steep for about 6-8 minutes, remove the tea bags, and sip throughout the day. 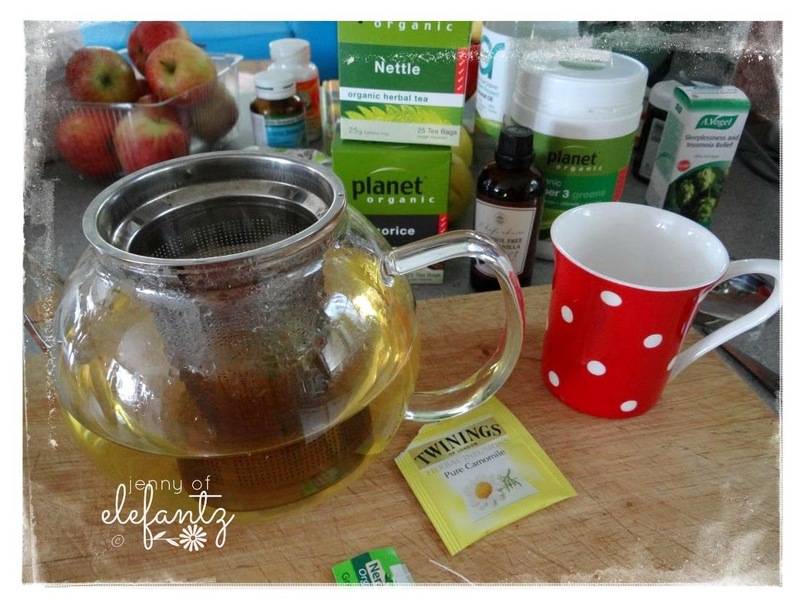 You can add sweetener if you like - I added two teaspoons of xylitol (birch bark) to the full 1.2 litres as it aids with adrenal support, but you may prefer honey. I drink this hot or cold and it's wonderful either way. 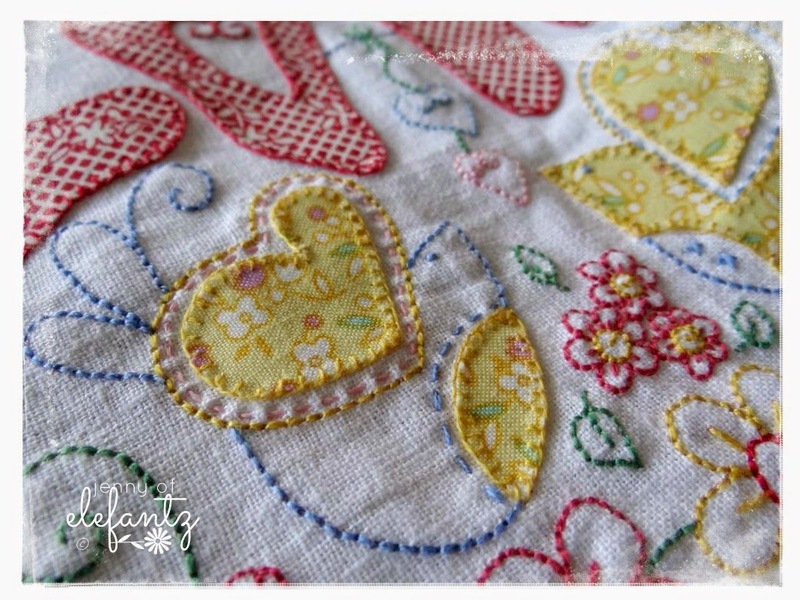 My friend Wendy has just started a free fortnightly "Friends" stitch-a-long. 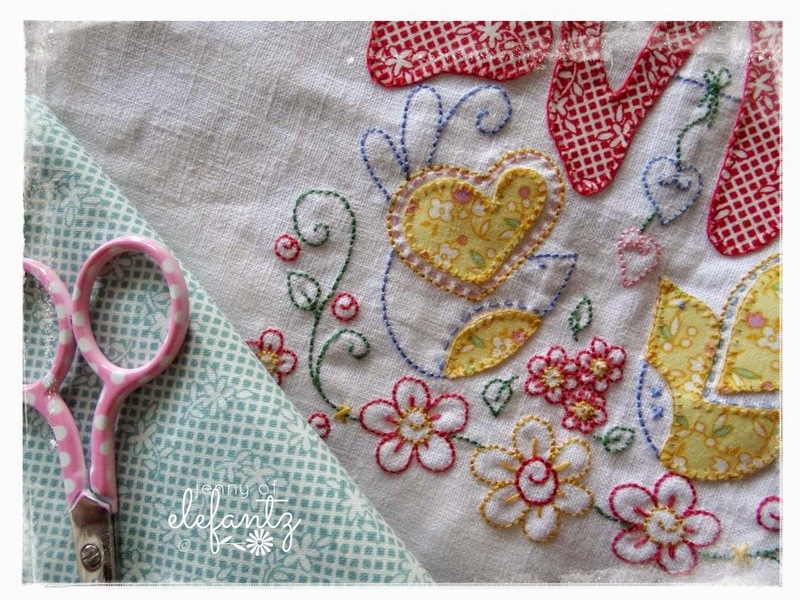 There are nine small blocks that can be stitched very quickly so if you'd like some easy hand sewing go over HERE and see her pretty mini-quilt! That tea sounds pretty amazing with all those things in - we have never drunk anything like that. Happy cutting and super happy blessed thoughts as you cut! I love the prints and colors of your work....they make me smile every time. 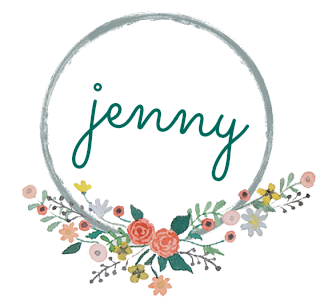 Jenny you are just amazing at what you achieve in a day. I am not even awake at dawn. LOL! 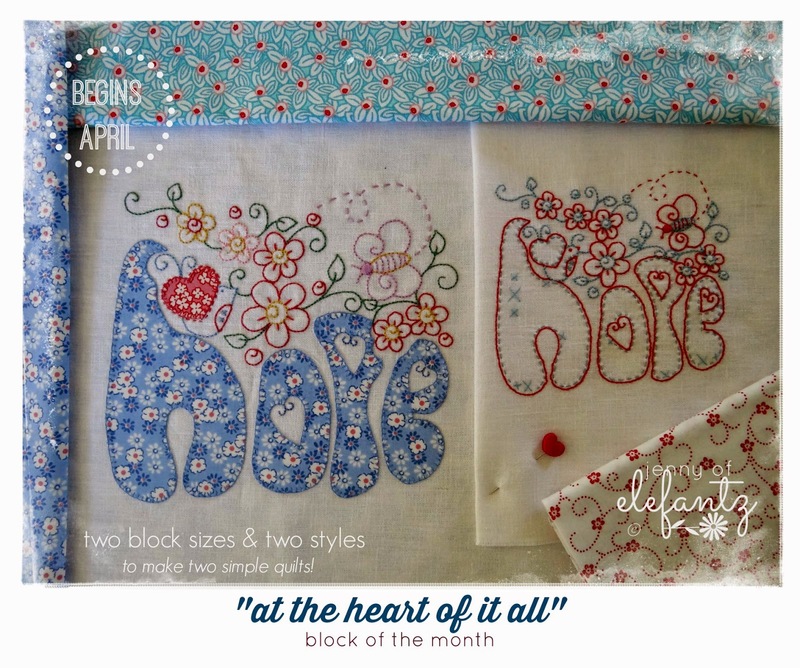 Love the new block of the month. 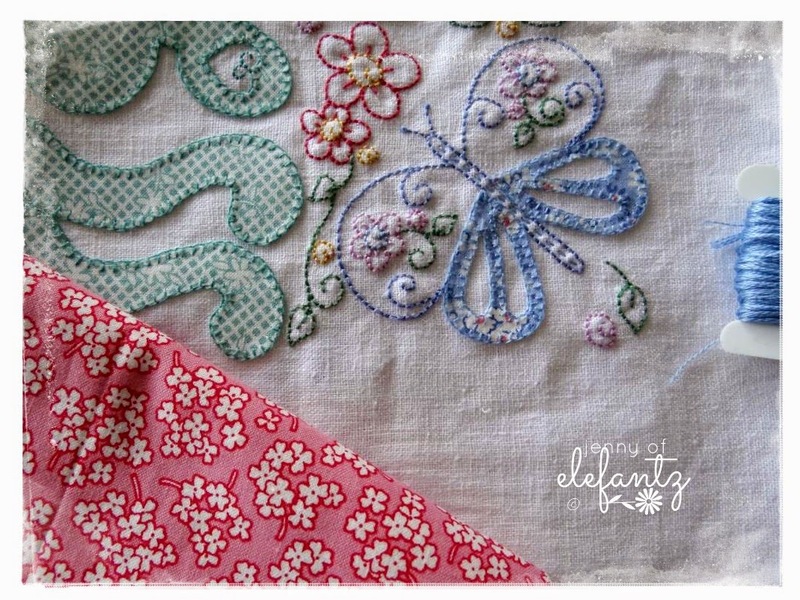 Especially love the repo fabrics, they tend to be my favorites. I hope you don't get a cramp in your hand from all that cutting. It is looking gorgeous. 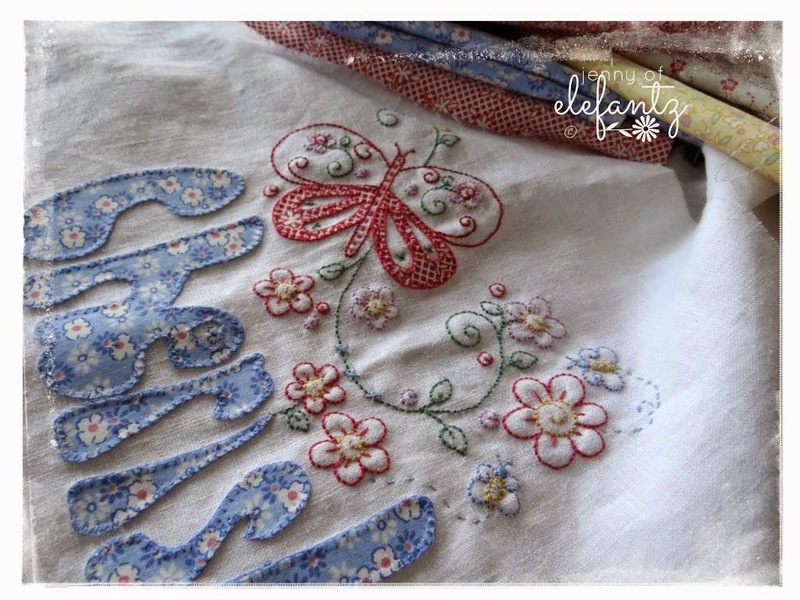 LOve the idea of both applique and stitched blocks. Your designs truly speak to my heart. Your last line made me smile. I hope your top is about done now! The hints look beautiful. I'm going to do my best to keep up, but my best hasn't been very good lately. Thanks for all the wonderful designs you send in the club every month. I appreciate the beauty you bring into my life. The tea recipe sounns divine..I love tea....wish you were closer we could have a cuppa and some sweets.